Shipping and Processing? Prints are usually shipped within 5 business days. 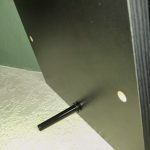 What is a Black Woodgrain Panels? 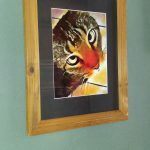 Prints are made on a Beautiful Glossy 1/2” thick wooden plaque, they are sturdy tabletop displays or you can hang them using the peg hole on the back. Colors are vibrant and beautiful. How do I hang my prints? 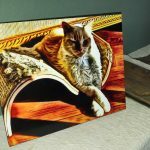 If you are purchasing a glossy print it will come matted in a rich black mat and will be ready for framing. 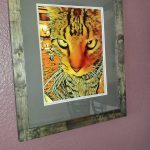 Shown are 11 x 14 prints matted and framed. What are Limited Editions? These prints will come to you hand signed, matted and ready for hanging. Each edition has a limited number of prints that will be made, once an edition hits it’s limit; the print will no longer be available for purchase and will be listed as SOLD OUT.